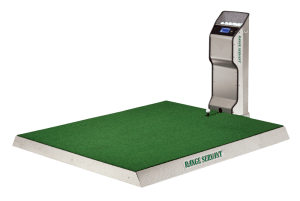 Automatic Tee-Ups (or automatic golf ball dispensers) provide for a better client experience and more income for you because they reduce the time a golfer needs between swings. 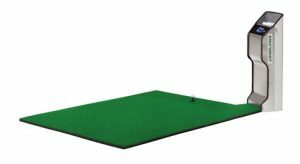 With our automatic tee-ups, play is sped up by about 25%, meaning you can now give 5 golfers a chance to practice their game where before you could only give 4 an opportunity. On busy ranges, this means the automatic golf ball dispensers will reduce frustration and wait time for your golfers. 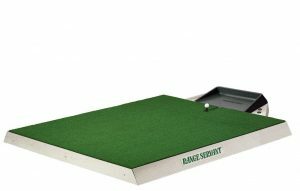 Even if you always have spots open on your range, your golfers will love these automatic tee-ups because they eliminate some of the bending they would normally do if they were grabbing balls out of a bucket, making them especially friendly to seniors and some people with disabilities. Some of our automatic golf ball dispensers allow you to pay right at the tee and can bill per bucket or per time transaction with multiple payment methods. Take a look at the high quality automatic ball dispensers available from Range Servant.